On the Xbox 360 backward compatibility front, we start the month out with Dead Space 3 which will be available from August 1st through the 15th. 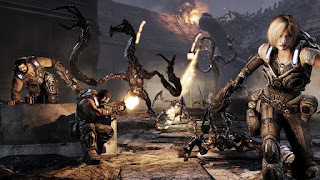 Dead Space 3 is a co-op survival horror game and wraps up the Dead Space series as Isaac Clarke tries to put an end to the Necromorph threat. On the heels of that is Epic Mickey 2: The Power of Two that runs the rest of the month. 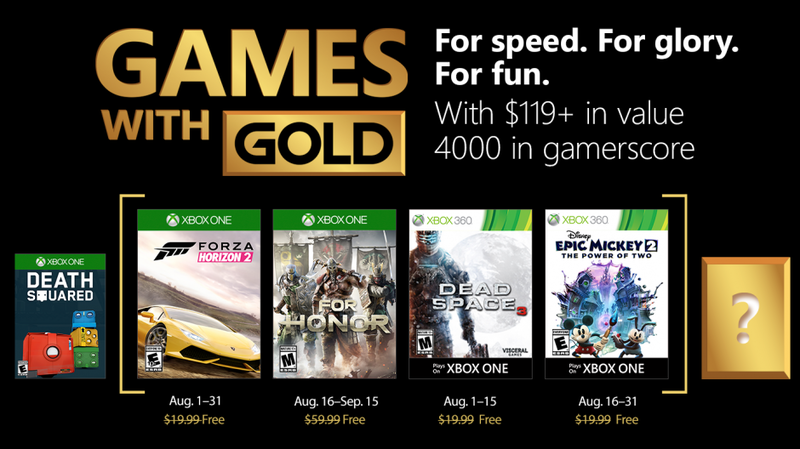 There you have it, all the games coming at you for the month of August. Personally, I'm probably going to check out For Honor. I didn't get into when it was first released last year but now I get a crack at it. If there's something here you're interested in, definitely go after it. Happy gaming everyone. If you like what you've read, go ahead and drop a comment.